Nina Katajamäki is a story teller. On first encountering her images, I immediately recognized this ability to spin a yarn in the brief frame of a single image. Nina often builds on the relationships in her imagery when describing them. 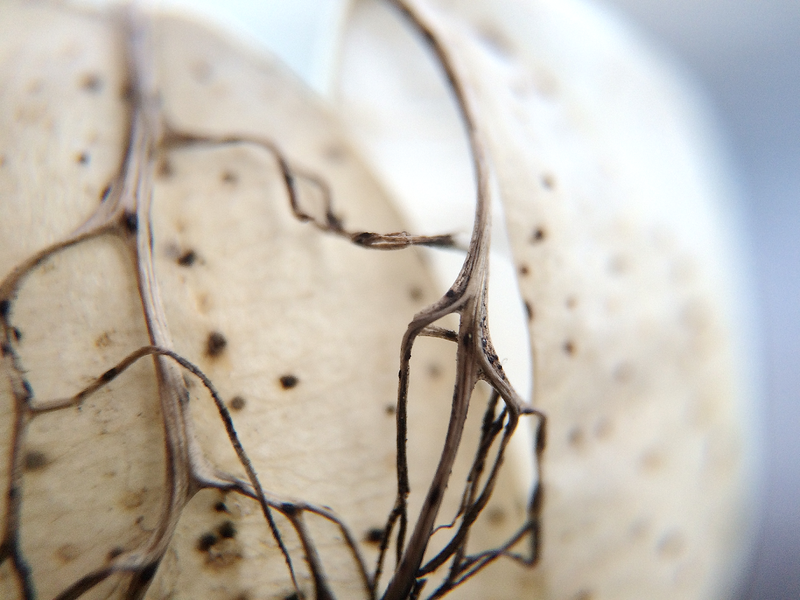 Over time she has weaved together a wonderful narrative of the macro world, making it larger than life. There is a sense of the alien and of new discovery in things small and ordinary. I found interviewing Nina to be delightful. Her thoughts and motivations in the art of mobile photography, her perceptions of composition and story, added wonderful depth to my appreciation of her work. Frankly, her artistry is simply jaw-dropping. I was born and raised in Finland, and spent most of my life working in graphic design, as an Art Director. Those facts combined, tuned my aesthetics towards minimalism, clean lines, and little color. With an obsessive personality, I ended up working my arms off, and found myself a few years back dealing with being disabled. My arms and hands had become so bad, that I had a hard time lifting a coffee cup with two hands, and lost my repetitive motion capabilities. I had to give up design work, silversmithing, woodworking, pottery, sketching… All my artistic outlets. It sucked. In April 2014, I decided to get on the bandwagon and get a decent smartphone (iPhone 5s). Little did I know that it would seldom leave my hands after that. It wasn’t the social media, texting, or games. It was the camera that did me in. 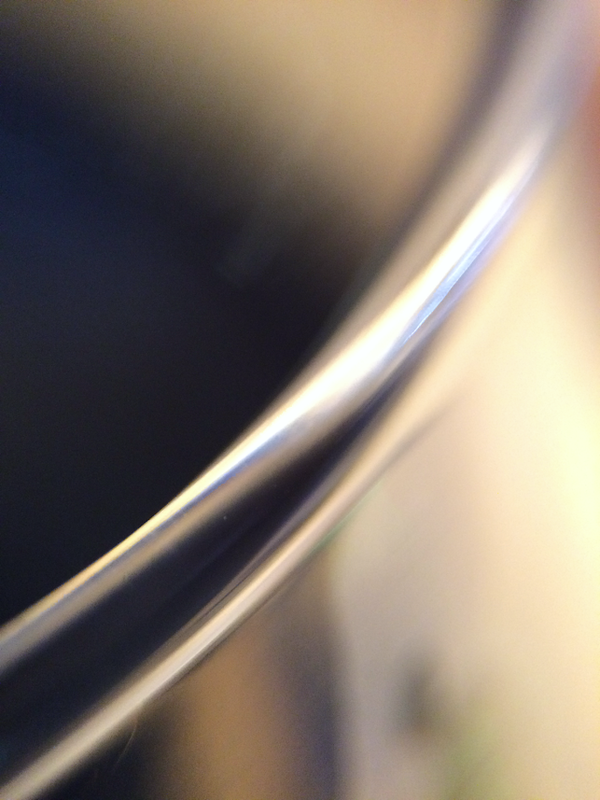 I started taking close-ups of things with interesting shapes, getting closer and closer. Evidently the device is not quite meant to deal with obsessive behavior, and got hiccups. While at the Apple store genius bar getting a replacement, and talking about what I use the camera for, they suggested an olloclip macro lens. Fast forward to May 2014. I now had a macro lens on a device that my hands could handle. I had found a way to enjoy some artistic freedom, with the limited amount that I could hold/lift/move. Let the obsessive nature take over! Before a full year was up, I was on my fourth phone (thankful for replacements under warranty), and second macro clip. They do not hold up that well. Or, maybe 100,000-200,000 pictures is a little much for such devices? Maybe using them in rainy, icy, windy, hot, and dusty conditions impact their longevity? How have you contributed to the growth of mobile photography? When I started out on Google+ (the only place I post), I found myself being “the odd duck”. Macro photography is so deeply rooted in flowers and insects, that I think fellow photographers did not understand my point of view at all. 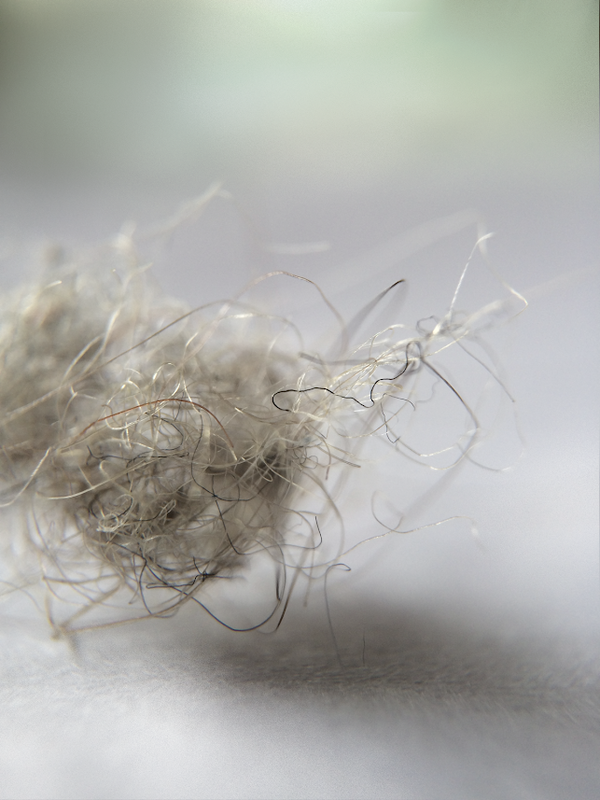 It seems things are slowly changing, and more abstract macro is cropping up. If I in any way promoted that, I am truly happy. What are your thoughts about mobile photography? There are clearly limitations to mobile cameras compared to “real” cameras. Low light and distortion being some of that. One the other hand, limitations are just that – limiting factors, not hindrances. Work WITH the device, not AGAINST it, is my take 🙂 For a lot of abstract, macro, minimalism, street photography… a mobile can be a better choice than something big and bulky. The best aspect is of course spontaneity, availability. This setup I have is in many cases better for macro than the traditional equipment, because of maneuverability, size, and angles (not achievable with big gear). Maybe I have shown that a mobile device and a lens kit is not just a toy. I love food, art, travel, water, nature, foraging… Those loves tend to impact our art without thought. 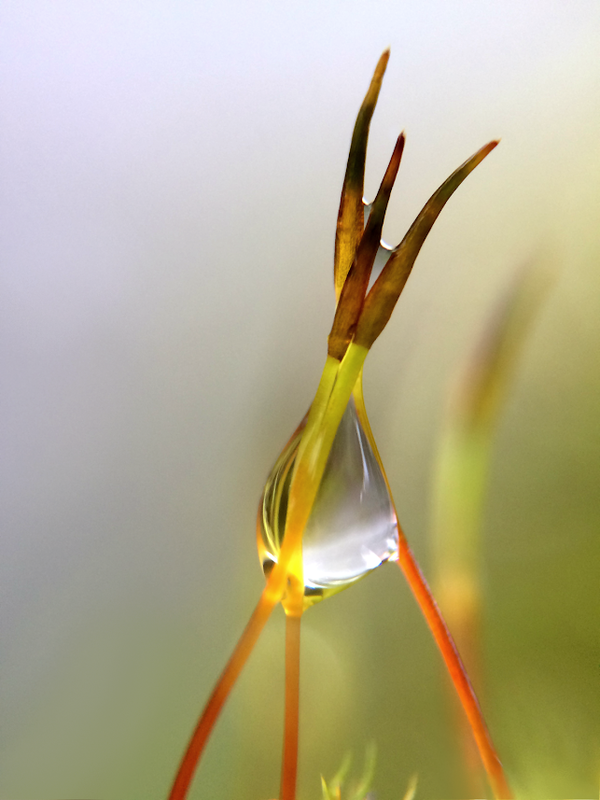 What do you love about macro? 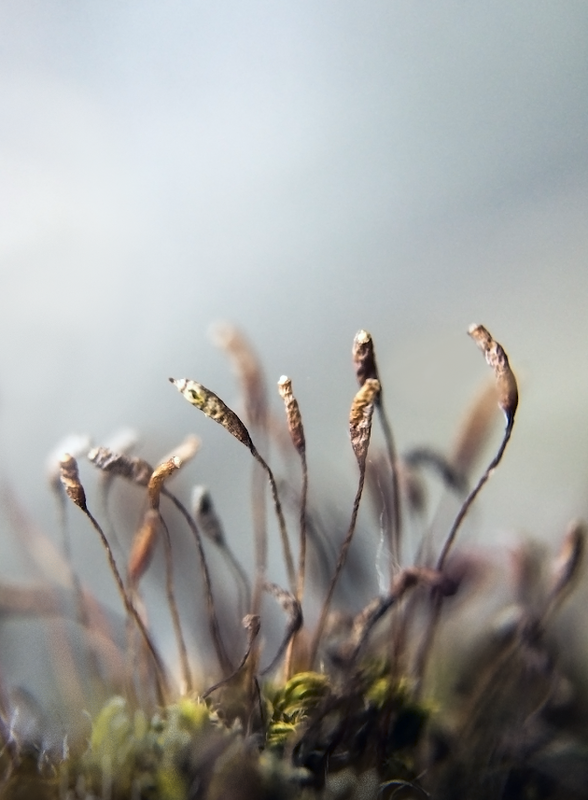 Early on, I stumbled upon some moss that had interesting shapes, and kept going back to the same spots. It was fascinating to look at this miniature landscape through the lens. 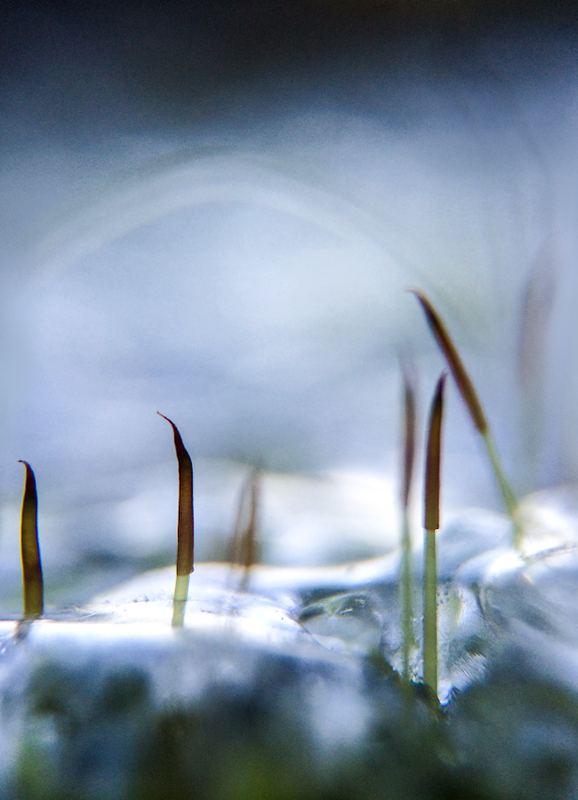 Over time it started to feel as if they had stories to tell, and “Moss an alien landscape series” was emerging. It has been immensely entertaining for myself, to come up with the stories, while I’m out there staring at a few millimeters worth of living material for hours on end. Having the phone and macro clip in my pocket at all times gives me the opportunity to shoot anywhere, at any time, in any conditions. And I do. Often 500 a day. There is a reason for the high amount of frames needed. First: It’s called obsession. 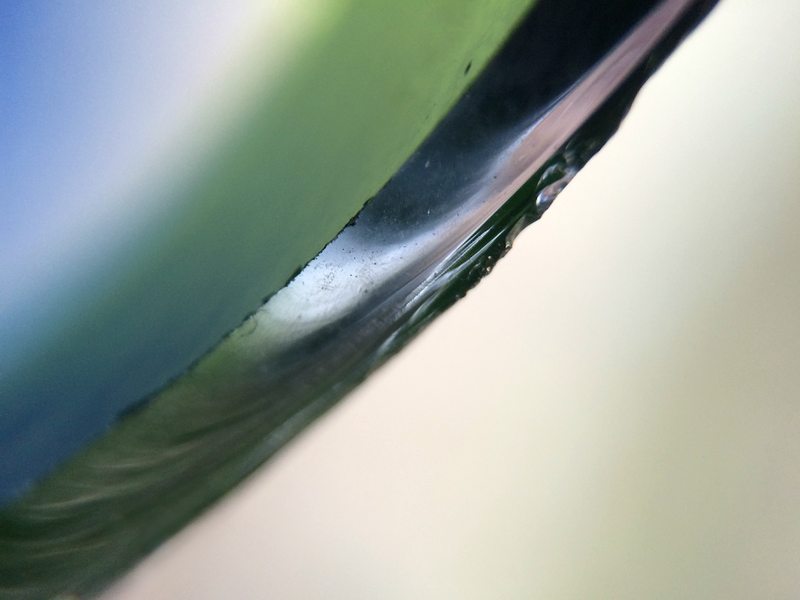 Second: Doing macro with a handheld device is tricky. A minuscule body movement, wind, rain – anything will make it a “nice and soft blur”. Getting the angles just so, with only natural light, without a harsh washed out look, or murky dark dithering, those take time and effort as well. Do you explore other forms of photography or artistry? I have a camera that I used for travel photography mainly. On the last trip I left it at home on purpose, to see if I would miss it. I Didn’t. 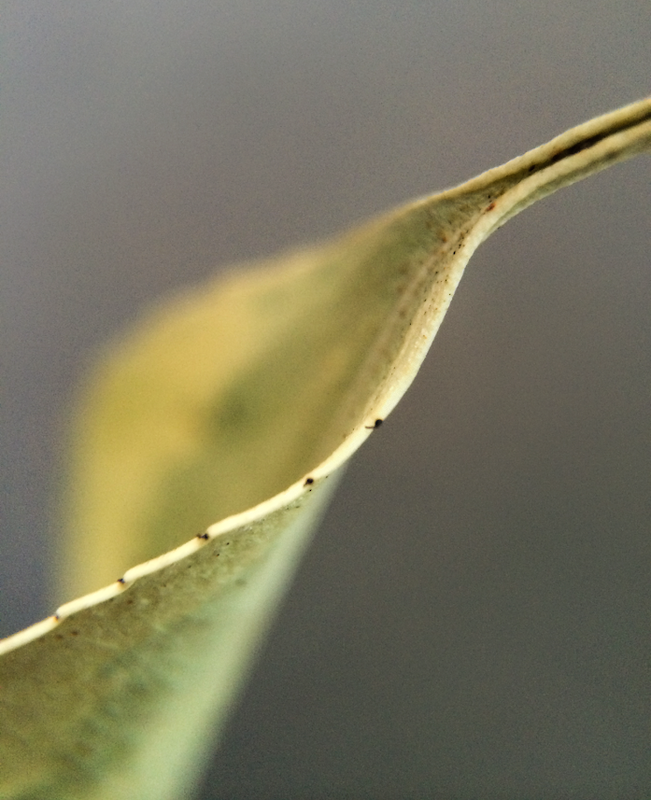 I was never really a photographer, before I got the phone with a macro lens. I’m still not a photographer. Maybe a Macrologist? And art? Yes. Lots. But I no longer can. Who or what are some of your artistic influences? My influences for art do not come from a specific artist or style, except for the Scandinavian minimalist sensitivities. I love food, art, travel, water, nature, foraging… Those loves tend to impact our art without thought. Explain your photo and editing style. 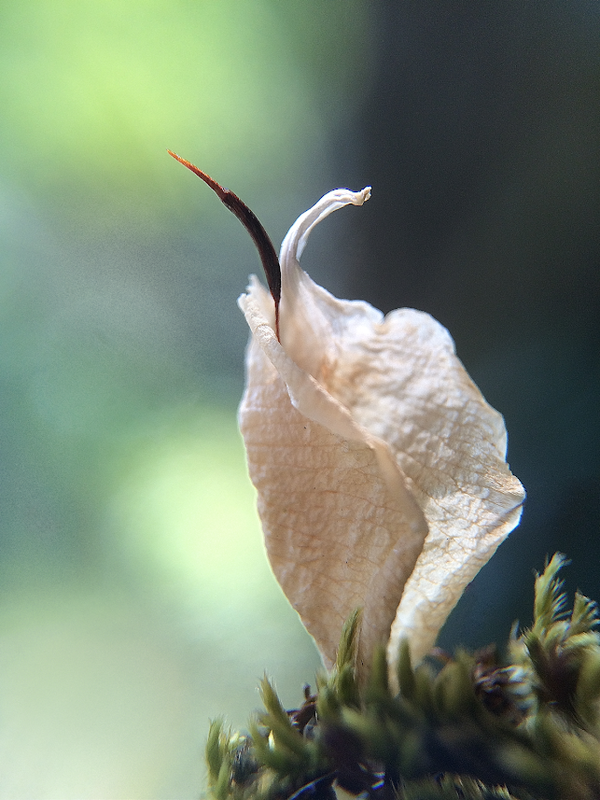 As a minimalist, I have found that taking macros of flowers and insects are “not my thing”. I did instead start seeing shapes, reflections, texture, in all kinds of everyday things. The edge of a glass shard, dry grass, ribbon, beer, ice water, weeds, paper… There is an endless amount of pictures waiting to happen. What phone do you use? Favorite gear? 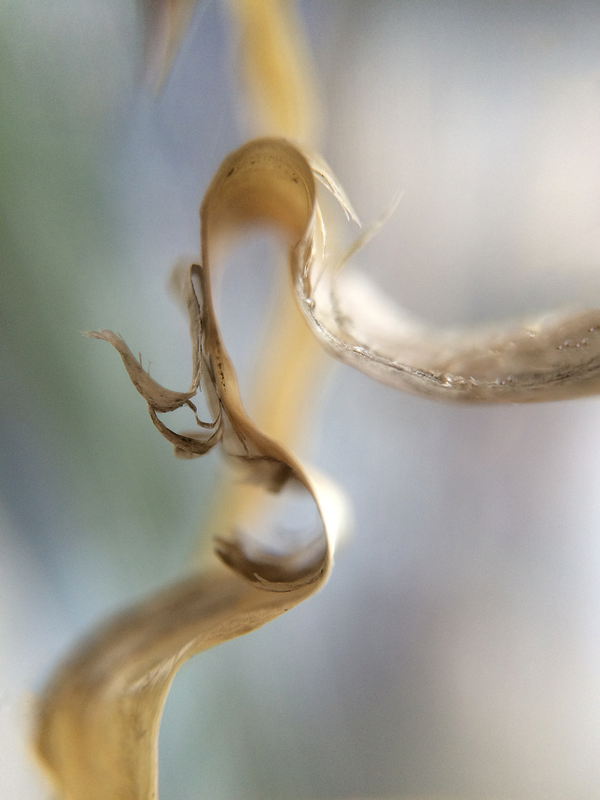 I use an iPhone 5s, with an ollolclip macro lens. I use the Camera Plus app on the phone, since it gives more fine-tuning capabilities. I frame everything as I shoot, so no cropping needed. I edit very little – that hand/arm limitation from design work… The go-to app for minor adjustments is Pixelmator, on my Mac book. 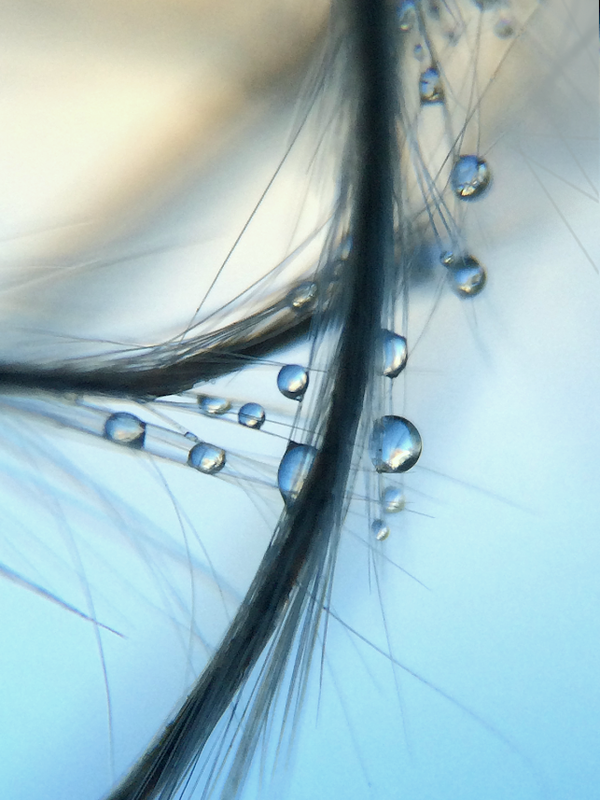 Nina chose to highlight the world of her macro photography, and especially her images of the natural environment, though her artistry extends beyond the minuscule and natural into other genres. Do take the time to visit her profile, say hello, and view her work. This is but a small taste of the world she portrays.